Very attractive updated 1160 sf. 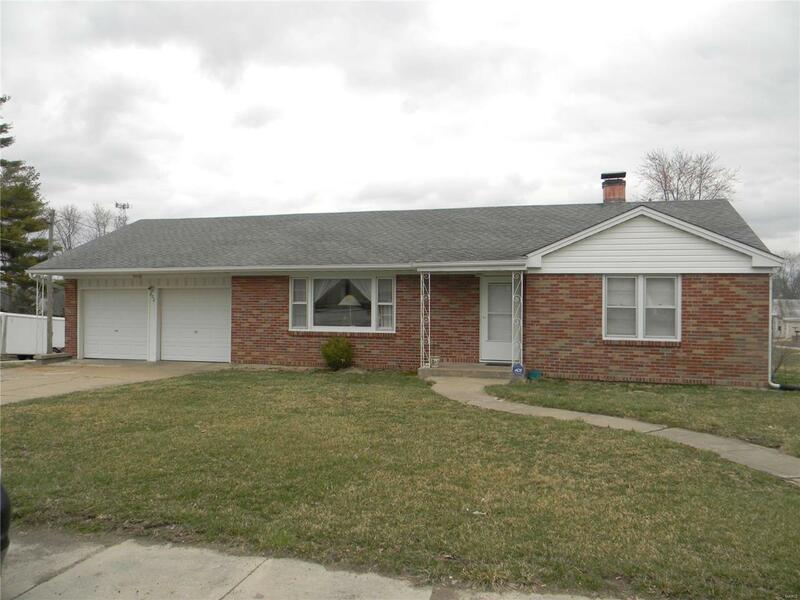 2 BR full brick ranch with oversize 2-car garage & full basement waiting for your family to enjoy. Wait till you see the nicely updated kitchen featuring newer white cabinetry, newer counter tops, ceramic tile flooring & white on white appliances including gas stove, microwave, dishwasher & a large side by side refrigerator! Beautiful mosaic back splash accent give the finishing touch. Lots of pretty hardwood flooring in the dining room, hallway and both bedrooms & also beneath the carpeting in the living room if you prefer that look instead. The bath has also been wonderfully updated with ceramic tile tub/shower surround that flows through the rest of the room & also features a pedestal sink with lovely wooden cabinet & matching mirror plus updated lighting fixtures. Both bedrooms are spacious with the master boasting 15x11 dimensions. Enjoy the oversized 2-car garage and the level fence double lot this home is situated on. Great for the kids!